Kwara state police command on Wednesday paraded a 25 year old man of Mamba Fulani camp in Patigi local government area of the state, Abdullahi Adamu, for allegedly killing his 65 year old mother, Khadijat Usman and elder brother’s wife, Ramatu Shagari. Also paraded for a similar case of “conspiracy and culpable homicide “were two suspects,Yahaya Umar and Abubakar Saletu of Kosubosu who allegedly lured their friend into a bush and beheaded him. 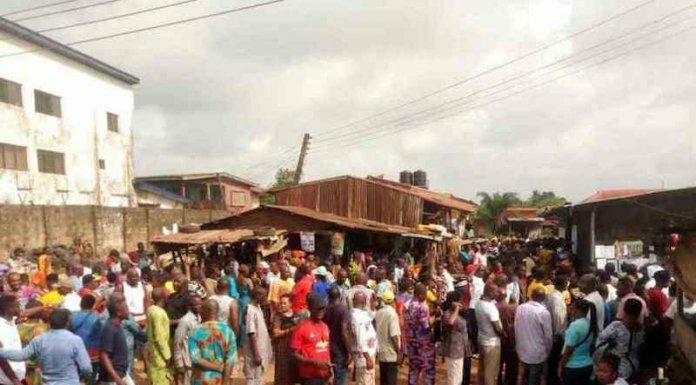 This was just as the command said it had arrested a prime suspect who perpetrated the latest killings of five people in Share, Ifelodun local government area of the state. The suspect was said to have committed the act to avenge the killing of his family and destruction of their houses during the December 2015 communal clash that broke out between Share and Tsaragi communities over an age-long dispute. Parading the suspects before newsmen in Ilorin ,the State’ Commissioner of Police ,Mr Olusola Amore, said the command is not in a position to determine the mental state of the Fulani man but stressed that investigation was still ongoing on and that the suspect will be charged to court.